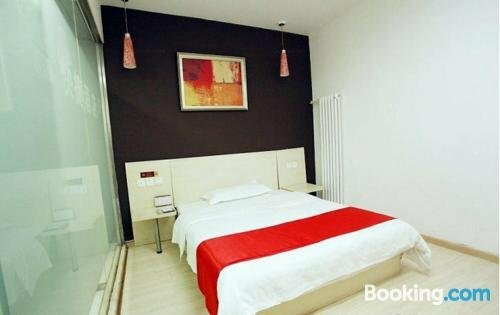 Thank Inn Chain Hotel Shanxi Yangquan Yu County West Xiushui Street provides a comfortable setting while in Yangquan. It also features a 24-hour reception. The hotel has 8 well-appointed rooms that are equipped with a range of essential amenities to ensure guests have an enjoyable stay.